The Commodore Amiga home computers were produced by Commodore International between 1985 and 1992. Like the Sinclair QL, the Amiga was based on the 32 bit Motorola 68000 processor family. 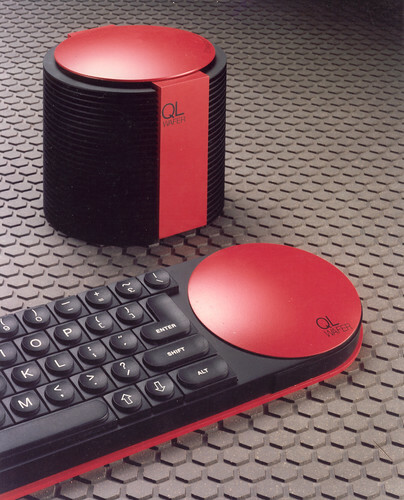 Originally intended to be a video games machine, Commodore opted to release it as a personal computer, although it benefitted from enhanced graphical, audio and multi-tasking capabilities as a result. The original Amiga was launched as 'The Amiga from Commodore', but later rebranded as the Amiga 1000. This was soon followed by the Amiga 2000, aimed at the high end graphics market, and the Amiga 500, which proved to be the most popular home computer model, with around 6 million Amigas being sold throughout the world. Further variants were released by Commodore with the A3000 and A4000 for the professional market, and the home computer market was targeted with the Amiga A500+, the A600 and A1200, with upgrades and later computers based on the more powerful 68020, 68030, 68040 and 68060 processors. The capabilities of the Amiga were reflected by it becoming the computer of choice in desktop video, video production, and show control businesses, leading to affordable video editing systems such as the Video Toaster. The Amiga's native ability to simultaneously play back multiple digital sound samples made it a popular platform for early "tracker" music software. The relatively powerful processor and ability to access several megabytes of memory led to the development of several 3D rendering packages. The final model to be produced by Commodore was the Amiga CD-32 which reverted back to the original concept of a high end video games console, with built in CD ROM. The rights to the Amiga were eventually purchased by Escom, who continued to produce the A1200 and released the A4000T, eventually ceasing sales in 1996. Since then, various Amiga clones have been produced, including The Amiga One based on the PowerPC RISC processor. 4 days, 02h:03m:50s £4.00 Buy now! 29 days, 08h:28m:38s £10.00 Buy now! 4 days, 01h:42m:00s £10.00 Buy now! *BRAND NEW* Commodore Amiga A1200 Keyboard Membranes (56C774A) 0 days, 02h:12m:17s £19.00 Buy now! Nigel Mansell's World Championship 0 days, 03h:38m:19s £8.95 Buy now! The Simpsons - Bart Vs. The Space Mutants 0 days, 03h:38m:19s £11.95 Buy now! Magnum 4 / Four (Compilation) 0 days, 03h:38m:19s £14.95 Buy now! Corporation 0 days, 03h:39m:23s £7.95 Buy now! Paperboy 2 0 days, 03h:39m:23s £9.95 Buy now! The Sports Pack (Compilation) 0 days, 03h:39m:23s £8.95 Buy now! 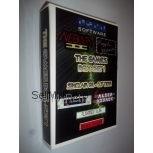 Arcade Classics Compilation 0 days, 03h:39m:23s £6.75 Buy now! TNT 2 (T.N.T.) - Double Dynamite (Compilation) 0 days, 03h:39m:23s £13.95 Buy now! Skidmarks + Super Skidmarks 0 days, 03h:39m:23s £17.95 Buy now! Doodlebug / Doodle Bug 0 days, 03h:40m:27s £17.95 Buy now! Kingpin / King Pin 0 days, 03h:41m:28s £7.95 Buy now! 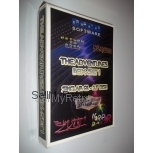 Theme Park 0 days, 03h:41m:28s £7.95 Buy now! Super All-Stars - 5 Game Pack (Compilation) 0 days, 03h:41m:28s £29.95 Buy now! Jurassic Park 0 days, 03h:42m:30s £7.95 Buy now! Deluxe Paint III / 3 (+ Deluxe Paint) 0 days, 03h:46m:39s £24.95 Buy now! Epic for Amiga 0 days, 03h:46m:39s £11.95 Buy now! Santa's Xmas Caper 0 days, 03h:46m:39s £12.95 Buy now! Pinball Fantasies (AGA + Normal!) 0 days, 03h:46m:39s £22.95 Buy now! Little Blue Workbench 2.0 Book - Commodore Amiga Book 1 days, 01h:01m:26s £3.75 Buy now!